Ritec International, pioneers of durable ‘non-stick’ surface technologies, will launch the new ClearShield Eco-System™ at this year’s FIT Show. This is the first and only glazing component with a three-way guarantee covering performance, added value and profit at every step of the supply chain – fabricator, installer, contractor or trades. In addition, Ritec are offering new and exciting promotional material, point-of-sale displays, comprehensive training and technical support. Based on many years of successful track records, Ritec now offer a no-risk satisfaction guarantee. The ClearShield Eco-System™ transforms new or old glass into a higher value product with low-maintenance performance, resulting in diversification leading to higher sales. 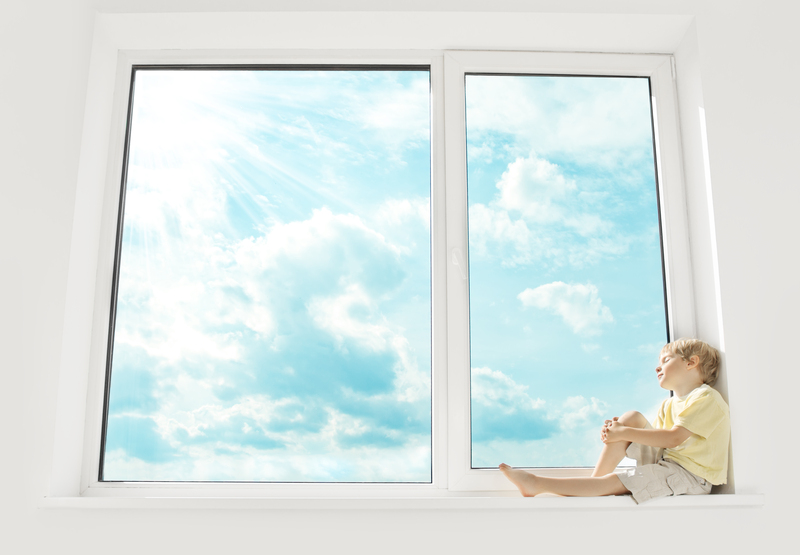 Furthermore, the ClearShield Eco-System™ helps maintain the original ‘A’ Window Energy Rating (WER), allowing glass to uphold its optical clarity over the life of a window. 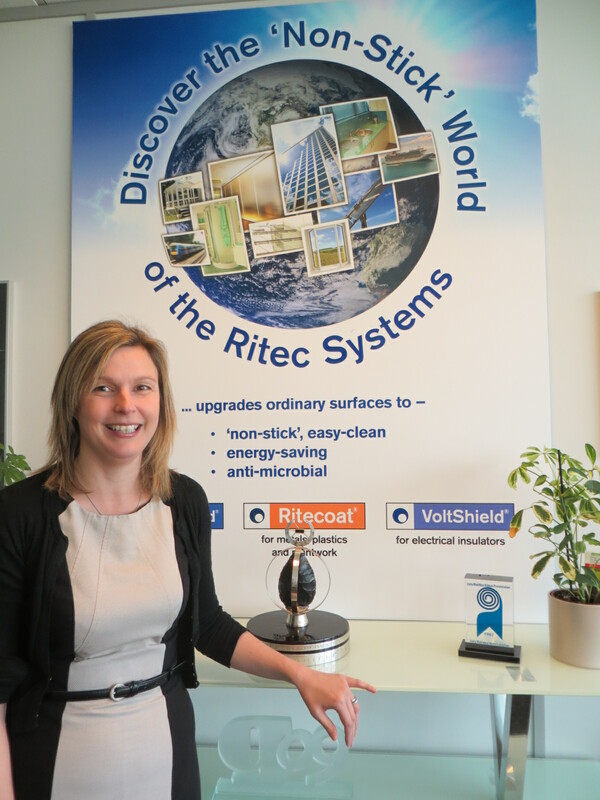 Ritec International, pioneers in ‘non-stick’ surface treatments, have appointed Deborah Beeley as their Business Development Executive. Deborah will be working alongside Brian McDonald, Sales Manager in developing new markets and supporting customers to increase sales. Deborah is part of a newly expanded international team of Ritec Business Development Managers and Executives charged with advancing the new ClearShield Eco-System™ brand. “The addition of Deborah and the expansion of our sales and business development team further strengthens our ability to meet the needs of our customers,” notes Stephen Byers, Managing Director of Ritec International. Before joining Ritec International, Deborah was headhunted to set up an internal sales department to increase sales and build upon customer relations at Synseal Extrusions. Previously, she worked as a Group Manager within advertising for the Johnson Press. Deborah is well known industry-wide for leading on new business strategy and building product brands. Prevention is better than cure when it comes to fleet presentation! 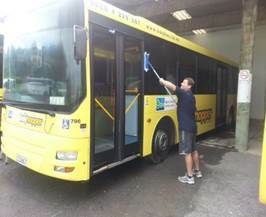 Clearshield is being used to restore & protect 1800 buses from the GoBus Fleet in New Zealand. See Pete Wavish hard at work on one of the fleet! Buses and coaches provide an integral service to the public so it is of high importance that a fleet is properly maintained. Fleet operators recognise that the safety and comfort of their passengers, and success of their businesses, rest on the performance of their vehicles. This is just as true for fleet presentation as it is for vehicle maintenance. After three decades of providing daily support services to Public Transport Operators under the Tara Support Services Ltd banner, Adrian Phelan, who subsequently created Intelligent Surface Solutions, discusses why prevention is better than cure when it comes to fleet presentation. Fleet presentation problems vary but will often occur due to the tight time allowances given to cleaning the vehicles on a daily basis, meaning that vehicles tend to suffer from a build-up of soiling over time. Periodic deep cleaning is one solution, but it means vehicles are not presented to the pristine, high standard required in the time periods between these cleans. The key is to get the vehicle’s surface clean and then keep it clean. An ideal solution is to protect key surfaces so they stay cleaner for longer. This is especially relevant when it comes to the bus or coach’s windows and glass surfaces .The advantages of glass protection are countless, not least because it gives you, the operator, the confidence that your vehicles are protected from the harsh and demanding weather conditions throughout the year. After trying different solutions over the years and undertaking research and development, Intelligent have turned to Ritec’s range of surface protection treatments, which have produced some really outstanding long term results and in particular the ClearShield System which has won numerous industry awards for the renovation, protection and maintenance of glass over the past thirty years. Ritec’s ‘non-stick’ technology allows for surfaces to be restored to a ‘near as new condition’ and provides further protection to give the surface a guaranteed standard. From a health and safety point of view treated glass is much easier to maintain; cutting cleaning time with no build-up of scale forming over the lifetime of the coating, ensuring crystal clear driver vision at all times. Ritec’s range of products can be used on both glazing and painted metal surfaces with vehicles being treated within one day – ensuring downtime is kept to a minimum. Intelligent see this service as being the credible solution to protect new vehicles before they enter service, or to restore existing surfaces during mid-life refurbishment programmes or at the end of the vehicle’s lease term. Current clients, including Arriva and East Coast Mainline, are seeing significant reductions in cleaning time and costs. Intelligent focuses on the larger fleet operator with our own mobile service teams covering the whole of the UK and Ireland. In the near future we will be establishing certified ‘drop–off’ application centres within the larger cities during 2014 with the potential for some clients to opt for a dedicated team based at their own location. Ritec products are award winning and have proven to be effective for up to 10 years per treatment. As cleaning productivity is reduced by at least 50%, there are sound ecological reasons that more than justify coating the surfaces. Significant cost savings in productivity over the life of the treatment provides a clearly visible return on client investment over a short period of time. Intelligent provide additional services for both fleet and buildings to compliment the Ritec offering.